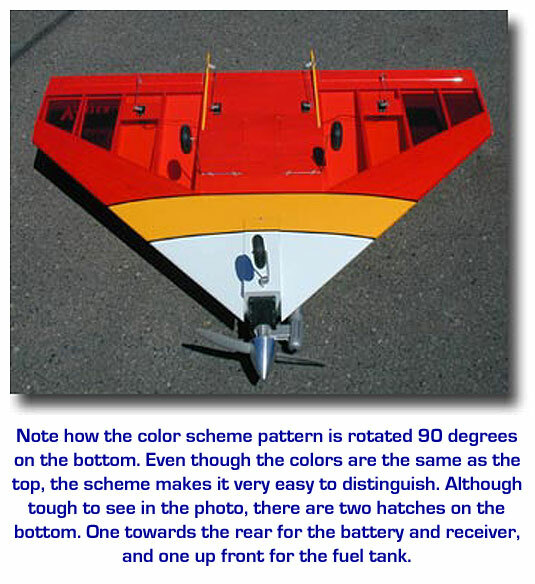 There have been many delta-winged models over the years, most of them designed for speed, but the Delta Vortex is different. 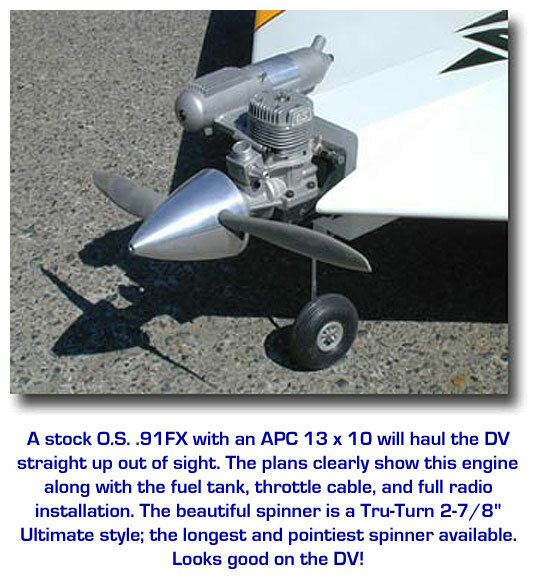 It combines the user-friendliness of tricycle gear, nose-mounted engine, functioning rudders, a thick airfoil, and low wing loading into a beautiful aerodynamic machine that is incredibly aerobatic without the blistering top-end speed. When it's time to land, pull the nose up on this stallproof delta wing and put all those square inches to work slowing it for a picture-perfect, nose-high touchdown every time. Don't let the radical shape fool you - the Delta Vortex is an everyday sport model at heart. 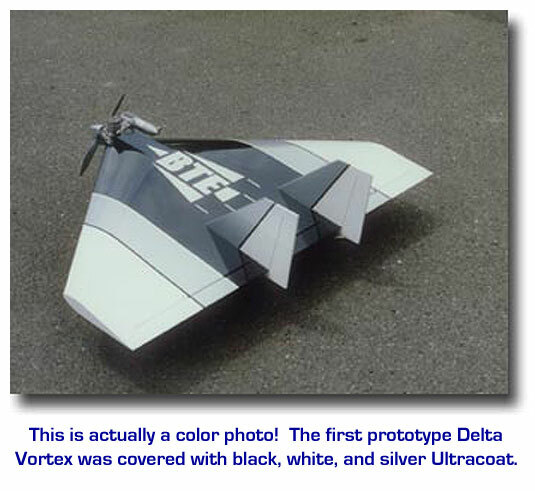 For much more detailed info on the Delta Vortex kit, be sure to read Bruce's article "So What's So Different About the Delta Vortex?". 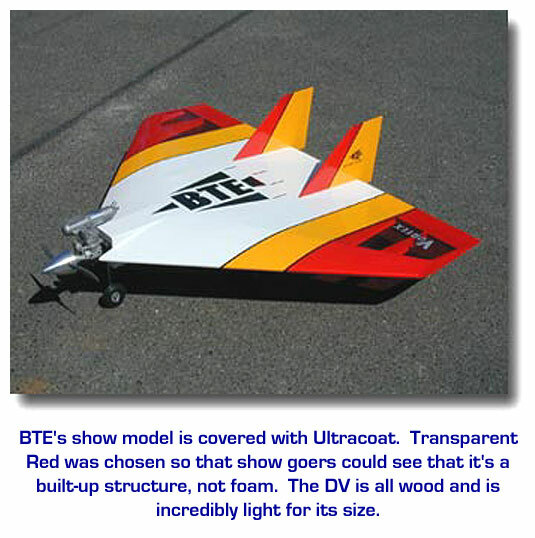 Lite-Ply, Basswood, and Aircraft Plywood. Radio with 5 or 6 servos (depending on whether you use single or dual rudder servos), engine, engine mount, 16 oz. fuel tank, fuel line, three 3" wheels, three to four rolls of covering material, and common modeling tools. "...enjoyed playing at both ends of the large speed range. 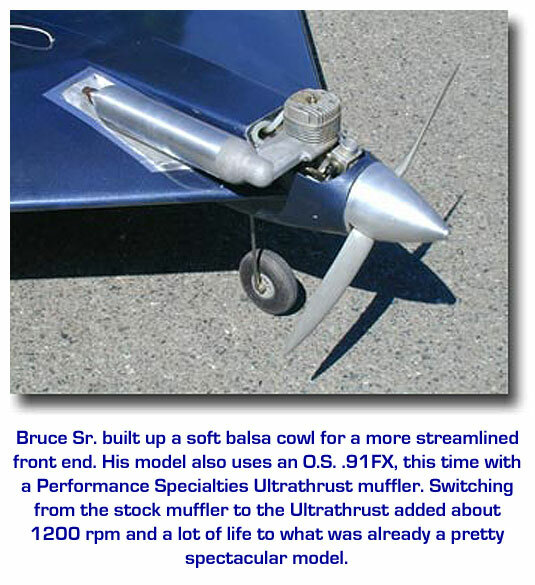 While I can outrun most of the sport planes at our field flat out, with the use of the split rudders as speed brakes, I can also 'outslow' them on approach or flybys too." "Compact but big. With all this size are some powerful flying advantages. 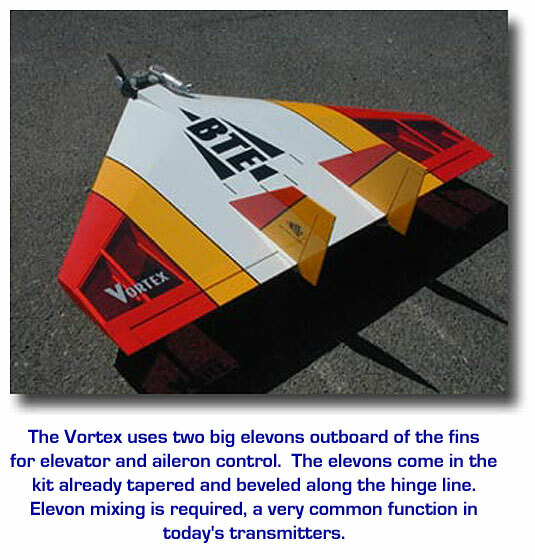 Besides stealing the show from your flying buddies, with a truly unique flying wing, the Delta Vortex's large size helps it to fly smoothly, more like a conventional airplane. The large size is also easy to see, even from a distance." "Landings are very amusing; you can set your approach very high and let it settle into the runway hands-off; the glide slope is that flat. Some trainers don't handle this well." 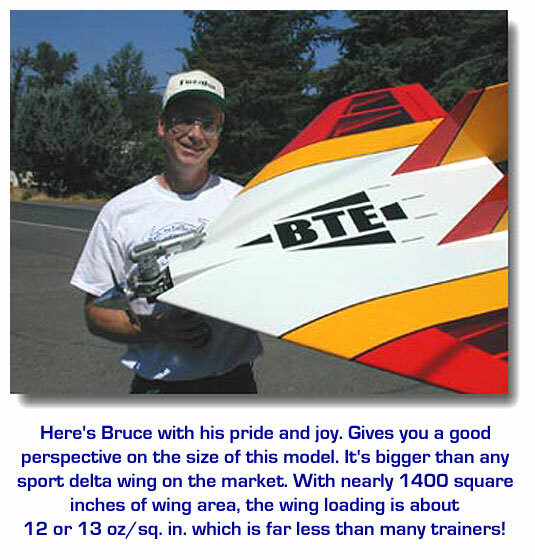 "The balsa parts and sheeting were the best I've ever seen in a kit... The ribs, which are the single largest parts in the kit, were perfect... The kit is complete and all the parts fit perfectly together." "The extensive manual leads you through every detail of the rapid construction. I've spent more time assembling some ARFs! 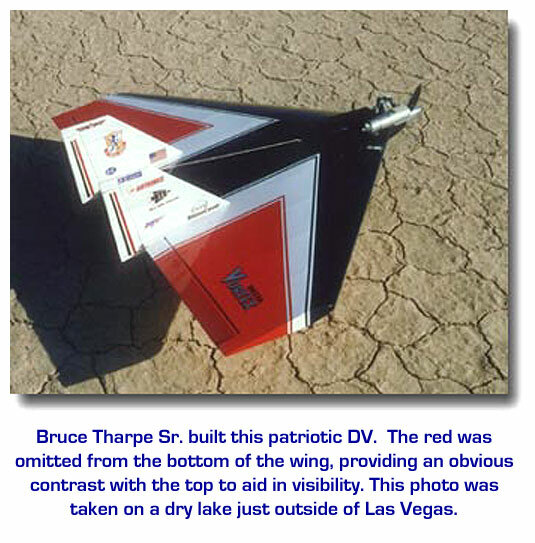 Bruce Tharpe has created a real jewel of an aircraft." Wheel Package - Treat your Delta Vortex to the best wheels available. Package includes three Sullivan 3" Sky-Lite wheels molded from light weight urethane with a tough rubber exterior. Why buy two pairs when you really only need three wheels? Hayes Engine Mount - This is a BTE favorite! Molded from fiber-reinforced nylon, this mount features a web at the bottom of the rail for extra stiffness. Supplied with two types of engine mounting bolts. This is the mount shown on the Delta Vortex plans. 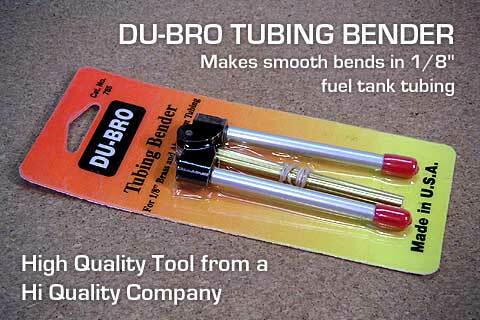 Fuel Tank Package - Another BTE favorite, this Du-Bro 16 oz. fuel tank is shown on the Delta Vortex plans. Package includes tank, 2 ft. of high-quality fuel line, and a 1/4" x 7" x 11" piece of foam rubber padding. Cable Cutters - Specially designed jaws cut stranded cable clean and square without fraying. 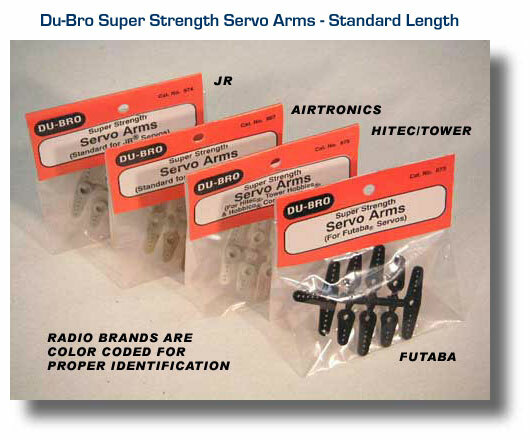 Perfect for throttle and steering cables. Every modeler needs at least one of these high-quality tools. Use the small cutter for up to 3/32" cable or 5/64" music wire. The large cutter is good for 3/16" cable or 1/8" music wire. Made in USA. Electronic Mixer - Using an older transmitter with no elevon mixing? Here's your solution! 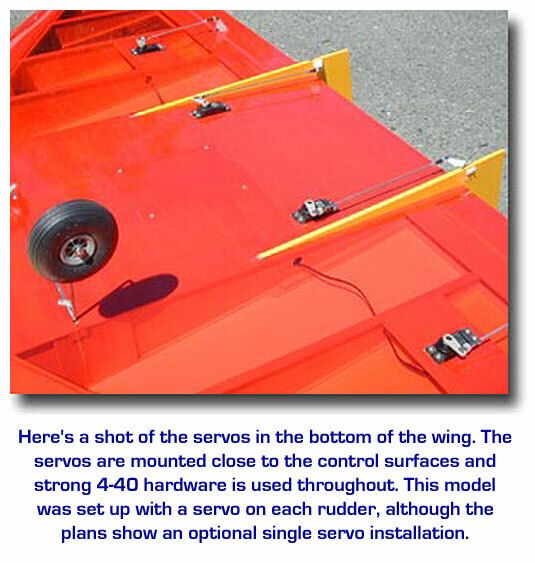 Plug this mixer in between the receiver and the two elevon servos and it will mix aileron and elevator functions automatically. Cermark product. for builder photos and comments!